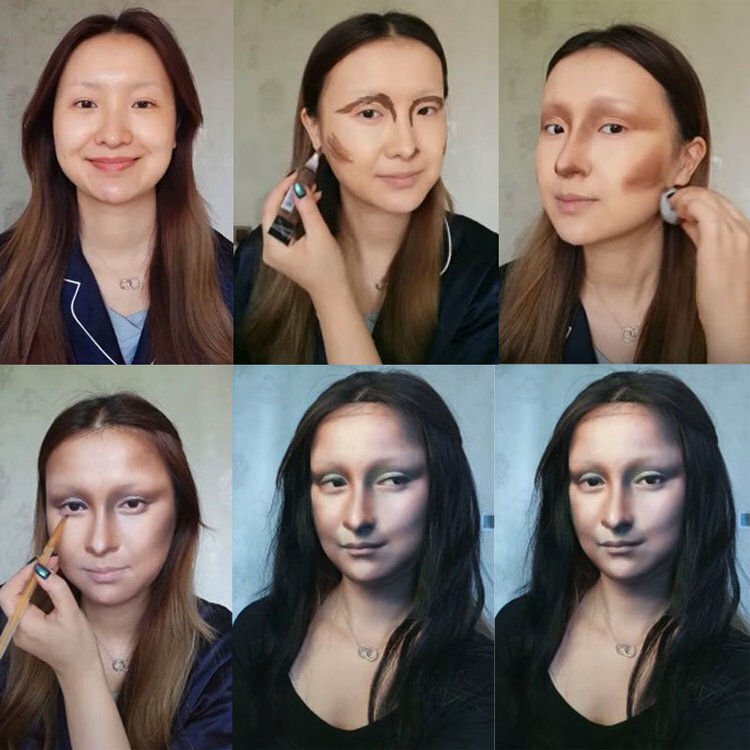 He, who posts photos and videos of her work on various social networks under the pseudonym Yuyamika, shot to fame last year, when she used her makeup skills to turn herself into a real-life version of Leonardo Da Vinci’s Mona Lisa. The video of her remarkable transformation got tens of millions of views on China’s Weibo platform alone, and quickly went viral on Western social networks as well. Since then, Yuhong has been entertaining her growing fan base with more makeup magic, turning herself into doppelgangers of celebrities like Johnny Depp and Taylor Swift, as well as Albert Einstein or the Girl with a Pearl Earring. We’ve seen makeup artists use their faces as a canvas for remarkable art before, but the degree of realism in He Yuhong’s transformations is simply unprecedented. In fact, some of her projects turn out so well that they leave viewers wondering if the artist is using some sort of digital editing tool to achieve the uncanny resemblance to her inspiration. The young beauty blogger started her chameleonic career by turning herself into doppelgangers of celebrities, but her career really took off when she accepted a fan’s suggestion to tackle famous artworks as well. That’s how her famous Mona Lisa project came to be, which she followed up with a nearly perfect reproduction of Lady with an Ermine, and then Girl with a Pearl Earring.